Every year, in every sport, an award is given to a person for essentially being the “best” at their sport for that given season. The award goes under many names. The Brownlow Medal, The Golden Boot, Hart Memorial Trophy, sometimes it’s even as simple as the Player of the Year Award. But the title that seems to irk me the most is Most Valuable Player – because the award is always given to the league’s best player rather than the player who is most valuable to his or her team. For example, Kobe Bryant (who I hate) was clearly one of the most valuable players in the NBA last season – as was proven by the abysmal performance of the Lakers in his absence – but he was never even vaguely considered as an MVP candidate. LeBron James was without doubt the best player in the league, but without him, the Miami Heat would still have won their fair share of games. Without Kobe, the Lakers were a basket case that would have been lucky to avoid the bottom 5 in the league. 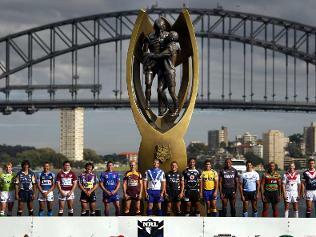 What I want to do is create my list of the 25 most valuable players in the NRL. But because that phrase has been corrupted, I’m going to have to take another angle on it. So I’m looking for the Most Important Player (MIP) in the league in terms of deciding where the Premiership for 2013 ends up. For example, Robbie Farah is a tremendous footballer, but he has not come under consideration for this award because his team is out of finals contention. Further, a player like Jake Friend might not be half the player that Justin Hodges is, but given that the Roosters will be fighting for the Minor Premiership over the next 2 weekends and the Broncos will be extremely lucky to sneak into the Top Eight. Friend would be the more IMPORTANT player. For this reason, this list is going to be heavily weighted towards players playing for teams in the top few positions on the ladder, because realistically, they are the most likely to have the biggest impact on if their team does (or just as importantly doesn’t) get the title. It’s only his 3rd season in the NRL and he hasn’t reached the 50 game mark yet, but the Roosters back-rower is a big part of what his team does. He’s an integral cog in the machine that is the Sydney defence and also does a lot of the dirty work that saves some of the bigger name stars of the Tri-Colours roster for attacking raids. Of late he seems to have found an ability to sniff out a try, crossing the line 8 times in 7 matches before going down with an ankle injury. Reports say he is due back for the first round of the finals and the Roosters will need him at his best for their title tilt. Thurston is such a great player and such a key to the Cowboys hopes that he has made the list even though the Cowboys are far from even being guaranteed of a spot in the top 8. The release of coach Neil Henry at the end of the year seems to have spurred the North Queensland players on for a late season push for the semi-finals. Under Thurston’s on field leadership they have won their last 4 consecutive games (and comfortably too), against 3 teams in finals contention as well as one of the premiership favourites. Thurston IS the North Queensland Cowboys and without him they are no hope of even making the finals. With him they could be the one team nobody wants to play. As the orchestrator for a strong title contender Cherry-Evans would be sorely missed by the Eagles if he was to go down with a season ending injury (an argument that can be made for most halfbacks in the competition to be fair), but more than this, he is their primary kicker in general play, a regular try scorer (8 for the season) and is in the top 15 in the league for Try Assists. Literally everything runs through him and Manly’s title credentials are tied closely to his form. Melbourne’s big three are the ones that get all of the attention, but the beneficiary is Will Chambers and the Storm’s left side attack. He’s a solid defender and his form over the last 4 weeks (5 tries) has been a big part of Melbourne’s resurgence to the top 3 at the right time of the year. Having first joined the Storm and Craig Bellamy’s systems in 2007, his familiarity with the aforementioned big three is almost irreplaceable and his level headed reading of the play in defence could be the difference between a season of pleasure and a season of pain. This might seem a bit low for a man who is considered one of the best forwards in the game, but his Injury Value is low simply because of the unprecedented strength and depth of the Rabbitohs pack. To go along with his 3 brothers, South Sydney have the ability to fall back on Asotasi, Lima, Lowe and Te’o, and that’s before we get to workhorses like Jason Clark or Dave Tyrell. The Bunnies have 10 solid first grade forwards to fill just 5 positions, so losing Sam Burgess may not be as big of a title blow as if he were playing for another side. That said, when Sam Burgess is on, he really is one of the best forwards in the world and he possess everything needed to drag a team to a premiership, so he still deserves a spot in the top 25. The Bulldogs started the year in extremely poor form winning only 2 of their opening 7 matches. Then James Graham came back from injury. The big Englishman sparked the Bulldogs season to life as they went on a run, winning 9 of their next 12 matches which saw last year’s beaten Grand Finalists showing what made them a premiership force to begin with. Given their current placing of 6th (along with Barba’s absence from the field, both physically and mentally all season) Canterbury are a long shot to actually take the title, but if they get there it will be on the back of James Graham’s hefty frame. The other player that often gets forgotten behind the Storm’s big three, Hoffman has been in career best form this season, having his best Origin series and taking on a strong leadership role in the Melbourne forward pack, which has become a revolving door of hard workers. His impeccable line running creates space for the brilliant Storm backline who have averaged over 40 points per game in the last 4 matches. 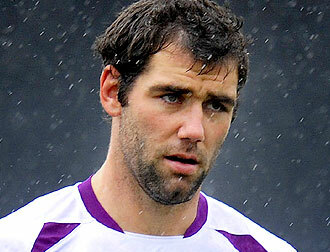 He has taken more hit ups this season than any other Melbourne player and only Cameron Smith has made more tackles. In a forward pack full of hard workers, Ryan Hoffman works the hardest. While the same arguments could be made against George as I have made against Sam (hell, he even has an identical twin brother who could take his spot), this Burgess brings something else to the Bunnies side that is harder to replace. If they decide that he is eligible, he is without doubt the rookie of the year, and his eye catching hit ups have made the whole Rugby League world sit up and take notice. The ferocity with which he hits the line has been the motivation behind the recent stat being brought up of “Play the ball before a try is scored” – a stat which he leads the league in by a country mile. Just to clarify, this is saying that he hits the ball up so hard, that the defence has to put everything they have into stopping him, so much so that they simply don’t have enough left in the tank to stop the next guy that comes their way. That’s something that not even the South Sydney forward pack can replace. The Sharks showed on Monday night just how much of a premiership threat they can be when everything comes together for them. For that to happen, they need two players in particular to be firing on all cylinders (I won’t spoil the other one that is still to come). Todd Carney, while inconsistent, is a rare talent with the ball who can both score tries and set them up (currently 7th in the league for Try Assists). A former Dally M Medalist, he controls Cronulla’s attack through his passing and kicking game and is never far from the action when the Sharks are doing well. His only downside is that he is prone to go missing if his forwards are not laying the platform and that inconsistency can cost you a premiership. If Daly Cherry-Evans is the one responsible for the Manly consistency though his organisation, then Kieran Foran is the one responsible for their sparks of brilliance. A player who simply has a natural feel for the game, he is soon to be the NZ Five-Eighth and they couldn’t be in better hands. 5th in the league for Try Assists, his involvement in an attacking movement makes any defence nervous. He probably needs to add a better running game to move any higher on this list as he can tend to be a bit one dimensional but his solid, and still improving, defence means he is a lynch pin in any hopes that the Sea Eagles have of taking home the title this year. In spite of just how poor he, and in particular his kicking game, was in this year’s Origin, Pearce has had his Roosters team firing on all cylinders since Round Two. Before Monday night’s capitulation to the Sharks, Sydney were on top of the table riding on the back of an 8 game winning streak, due in no small part to Pearce’s contribution. Sitting in third spot in the Try Assists column his toughest challenge for each play is working out which of the many great options he has outside of him to get the ball to – something he is clearly doing well this year. One of only 2 players to play in every Souths game this season, he is an absolute terror around the play the ball and as good a back-up option as Nathan Peats is, there is always a noticeable drop in the South Sydney attack when Luke takes his spell on the bench. Coach Maguire has taken to playing Luke for the full 80 minutes each match in the second half of the season which has taken some adjustment from Issac to know when to pick his times and when to lay back and conserve some energy, but now that he has that under control he has become the most important player in arguably the best pack in the competition. Another Five-Eighth who has the balance of running and passing down pat, this has been John Sutton’s runaway career-best season. His previous defensive issues have been put to rest for the most part and he looms as a match up nightmare for most teams that the Bunnies come up against. He has a knack for being able to hit the line then create an offload for second phase play which gives the rest of the side a platform to roll forward from and the players have spoken of how much of a leadership role the lifetime Bunny has taken in directing the side around the park the year. He does have a solid back up in young Luke Keary, but losing Sutton at this time of the year would be disastrous for South Sydney’s hopes of winning the competition. It might be surprising to see someone from a side that up until last week were looking like they’d merely make up the numbers in the finals this year, but then that first half against the Roosters happened. Fifita leads the league in hit ups as well as metres gained, and he only plays an average of about 55 minutes per game. He’s the most dynamic forward in the game and when he gets his tail up he is a force of nature. 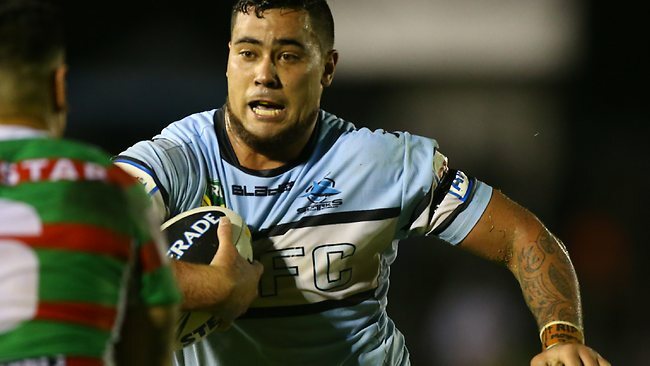 The Sharks showed on Monday night that they are capable of beating the best, just as they did earlier in the season when they beat South Sydney. But that’s only a possibility if Fifita is in the barnstorming form that he is capable of at his best. They’re only an outside shot at the title, and it all comes down to how Andrew plays. The enigmatic talent that he was at Penrith, never quite translated into any overwhelming success for the club or for Jennings as a player. What a turn around this season has been then. He is the go-to strike weapon in a league leading side who has managed to score 17 tries in 21 games – a strike rate he hasn’t been able to manage since 2009. So many of the Roosters’ set plays revolve around getting the ball to Jennings in space, because if you can do that, his natural ability will guarantee you a good outcome. 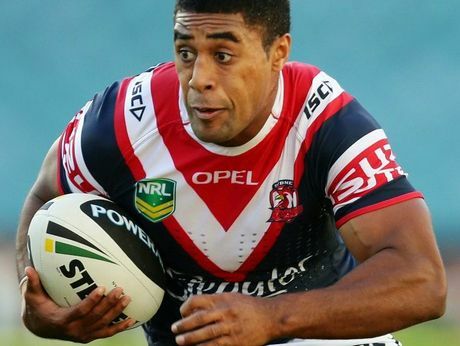 Replacing Jennings in the Roosters structure would be very tough as nobody possesses quite the mix of speed, strength and agility that he does. If they make the Grand Final, it’s vital that Jennings is there, because very few players can turn good runs into tries like he can. Just a shade off being the league’s leading point scorer, Lyon is the most important player on the Manly roster. The biggest evidence of this is how well teams have done against Manly this season by simply shutting Lyon down. South Sydney are the best example as they had Goodwin target the Manly lynchpin in both of their match-ups this season and it resulted in the Bunnies beating Manly twice in one season for the first time since the 1980’s. it’s an impressive feat for a simple right centre to be so influential on a sides fortunes, but Lyon is a smart and experienced player who has played at all of the highest levels and is the player that the rest of the Sea Eagles look to to get them out of a jam. 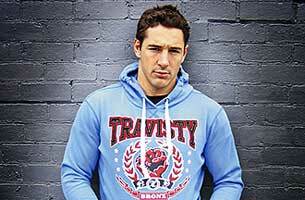 If he’s gone, so are Manly’s title hopes. The champion Queensland halfback sets up more line breaks and tries than any other halfback in the competition and with his experience at the top level, he is almost irreplaceable. However, counting against him here is that the Storm does have a fairly capable back-up in Brett Finch as well as the fact that Melbourne is such a well-oiled machine, that I think that they’d all still be able to run the same lines and go through the same motions and still beat half the teams in the competition with Shane Webke at halfback. In all honesty though, Cronk is the perfect halfback for their system and he would be a great loss for the Storm, he’s just happens to be the most losable of the big three. After his boom rookie season last year, Reynolds could easily have succumbed to the second year syndrome that has caught so many players before him (see Smith, Tim), but Reynolds has continued on his upward trajectory and leads the league in Try Assists for a team that is looking to go one match further than last year. 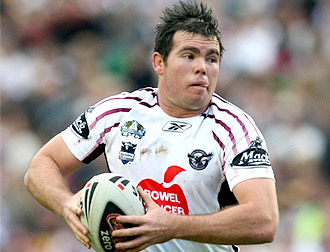 It was in the final match of last season that Reynolds showed his true worth to the Bunnies. 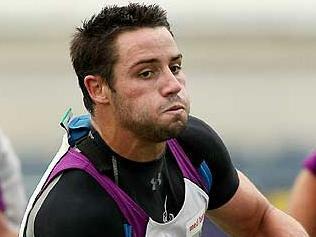 As they battled with the Bulldogs for a spot in the Grand Final, Reynolds got injured early on – while Souths were in front. From the time he left the field the Bulldogs were in full control and never looked like missing the big game. He hasn’t missed a game yet this year so it’s unknown if Souths are better equipped to handle the situation or not, but I’m betting they don’t want to find out. Still considered by some as the best fullback/player in the competition, he is the strike weapon most used by the reigning premiers with 15 tries in 20 games this season and when he’s not sliding in with his feet, throwing elbows at players heads or generally being the Billy Slater that I know and hate, he’s a very smart, very experienced, world beater of a player. He’s utterly irreplaceable for the Storm and he’s shown that he knows how to turn up on the big occasion and win the match. He’s the most important player in every team he plays for and it truly can’t be underestimated how much of an influence he has on each and every game he plays. Whether he is talking to the referee, calling the shots from dummy half or making his millionth tackle, he is at the heart of everything Melbourne (and Queensland and Australia) does. When the Storm look unbeatable it’s because Smith is pulling the strings on a brilliant Rugby League puppet. Their mid season slump has shown teams that they are beatable (and even how to beat them) but write the Storm off at your own peril. So many of these players have been there and done that before, and with a man like Smith leading them, they are as dangerous as anyone come September. What can you say about SBW that hasn’t been said, ad nauseam by the channel nine commentators since the opening match of the season? Not much really. But the fact is, he is a game changer. 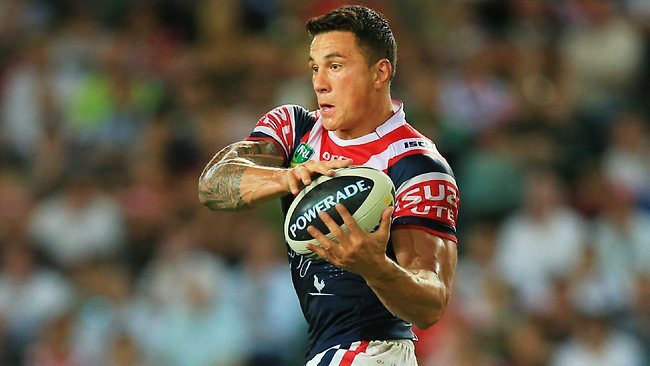 There’s no doubt that without Sonny Bill to look out for, teams playing against the Roosters would have a lot less trouble defending their line. 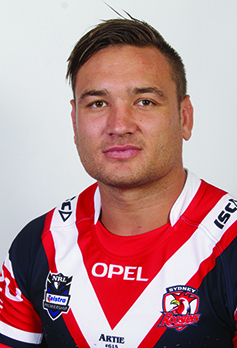 His 8 tries in 19 matches can’t measure how much he adds to the Roosters’ attack even just by running a decoy. He is the king of the offloads, having only played in only one match all season where he wasn’t able to successfully complete an offload, and if they hadn’t outlawed the shoulder charge, he’d be the most feared defender in the game too. The Roosters have survived without him in some games this year, but if he were to miss the big one, you could bet their odds would sky rocket, and with good reason. He’s just capable of too much to be ignored. 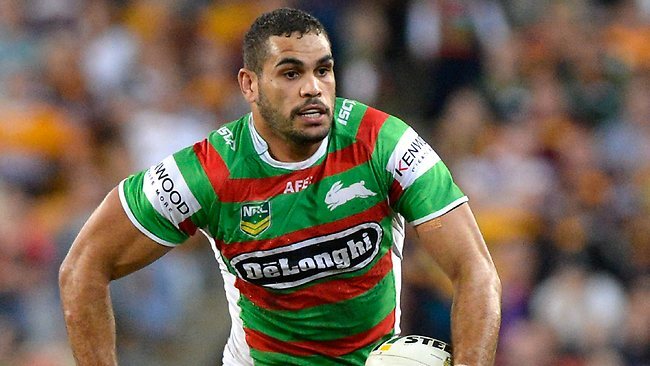 The miraculous form of Inglis this season almost has to be seen to be believed. He has scored 13 tries in 16 matches and the Bunnies have only lost 2 with him in the side. His recent 4 game absence coincided with three losses for South Sydney, and while I personally don’t think that Inglis’ skills on the park would have changed some of those losses, it’s what his presence does for the rest of the team that is impossible to measure. The champion fullback can play almost anywhere in the backline, but the way he injects himself into the game at integral moments – even by simply running a decoy – is irreplaceable by almost anyone in the world. The Rabbitohs showed two set plays last weekend against the Bulldogs where Inglis didn’t touch the ball but was absolutely instrumental in the break being made or the try being scored. Then just when the Bulldogs started to see him as a decoy he got involved and set up a magnificent try. Without Greg Inglis, Souths lose that game 10 times out of 10. He is the best player in the game right now and he will have the biggest influence on where the Premiership trophy ends up after the first weekend in October, so he wins the MIP award for this season. Tell me your thoughts below. Who have I missed? Who have I over-rated? Just how stupid am I?